After Priyanka and Nick's wedding, and their Delhi reception, fans have been waiting for the details of their honeymoon. A source close to the couple has informed a media house, "The team will take a short break during Christmas. That’s when Nickyanka will fly to an exotic location for their honeymoon. PC will leave the country around December 27 and return in the first week of January." Well, seems like our excitement level has increased manifold now and we are more than eager to know the exact location where Nick and Priyanka will head for their honeymoon. The source further added, "Once she comes back, Priyanka will begin the Ahmedabad schedule for her next. After she has completed all her work commitments, she and Nick will take off for another trip, albeit a longer one this time." Priyanka and Nick will throw a reception bash for Bollywood fraternity and Mumbai friends tentatively on December 15 or 16. The report suggests, "Priyanka has a few ad campaigns lined up, which she needs to shoot for in the coming week. Post that, the couple will throw a bash for the film industry either on December 15 or 16." Detailing it further, Sabyasachi added, “Her wedding jewellery was crafted with uncut diamonds, emeralds and Japanese cultured pearls in 22 karat gold. It also had delicate tiny stars in uncut diamonds to give it a sense of whimsy to an important traditional piece." Priyanka wore a champagne coloured lehenga by Falguni Shane and Peacock for her Delhi reception. 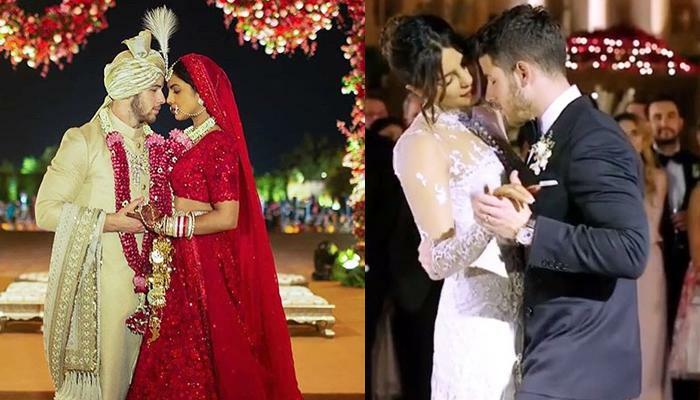 Falguni Shane Peacock India took to their Instagram handle and wrote, "I do @priyankachopra And @nickjonas. PRIYANKA CHOPRA IN A CUSTOM @falgunishanepeacockindia beaded outfit took 12000 hours of 80 craftsmen and a millions of crystals that sparkled and sang I DO." Amazing, isn't it? Talking to People.com about their two weddings, Priyanka revealed, "Every girl dreams of being a princess on her wedding day. 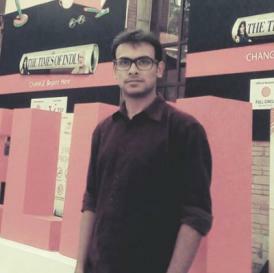 But I never had a plan about what I wanted it to be." And added, "Being able to have two big weddings, in India, with our closest family and friends was unbelievably special. I love that our wedding was a religious mash-up. We took beautiful traditions that we both grew up with and personalized them in a way that made sense for us. It’s been incredible to find the commonalities between our beliefs and figuring out how to blend them in a respectful and meaningful way." Stay tuned in here for more updates on Priyanka and Nick's honeymoon plans.